Superior Threads There is 1 product. 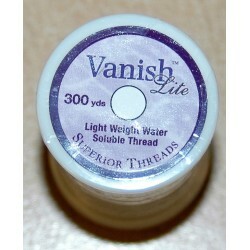 Klosje Vanish Lite van Superior Threads van 300 yard. Wateroplosbaar garen.